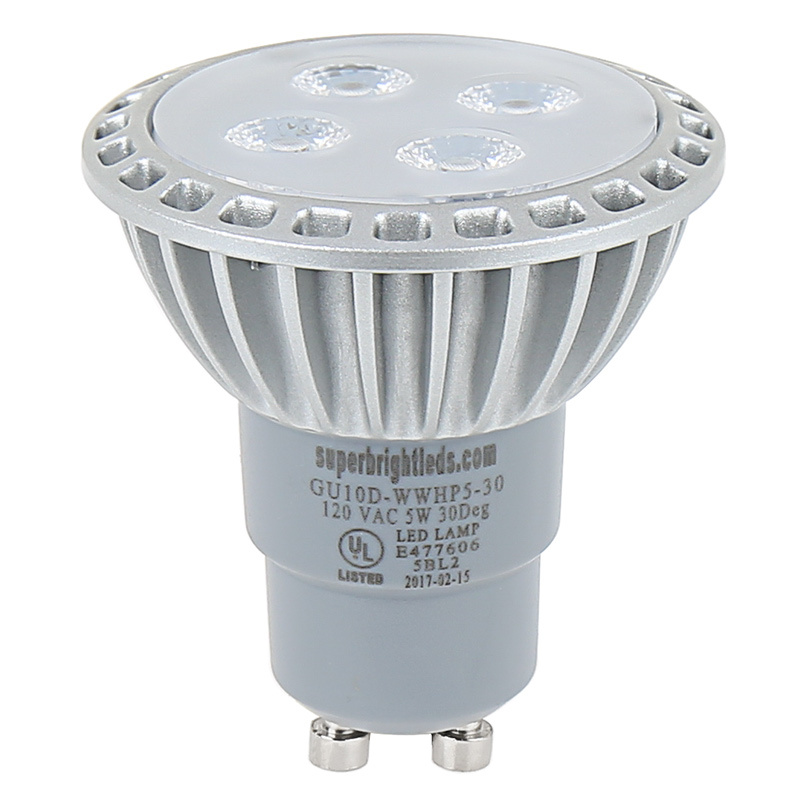 This LED spotlight bulb is perfect for track lighting, recessed lighting, desk lights, display case lighting, or outdoor fixtures with weatherproof housings. 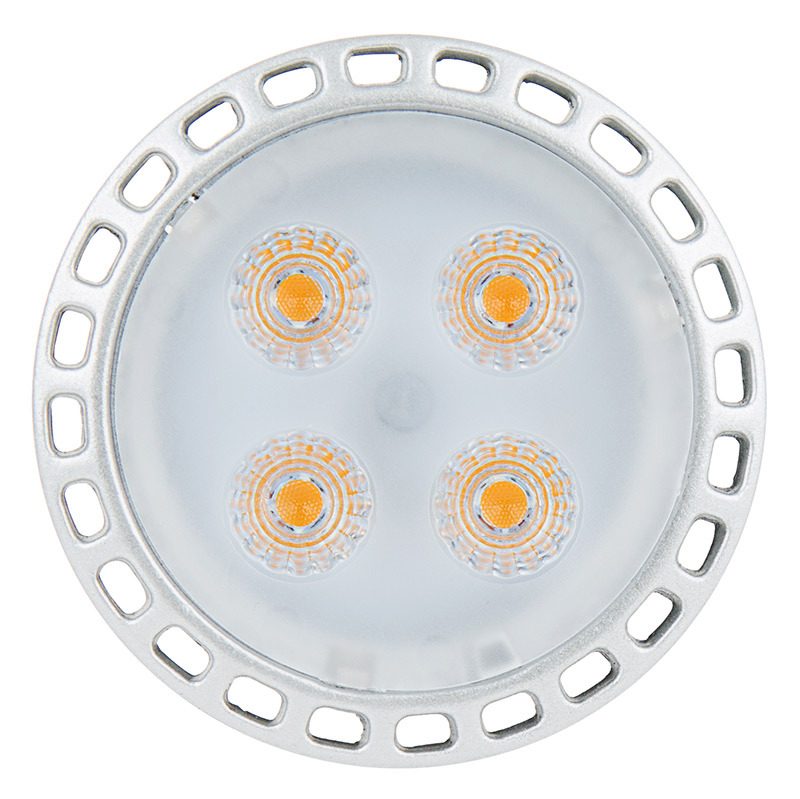 The GU10 (MR16) bi-pin bulb emits up to 312 lumens of warm white illumination. A frosted lens and multifaceted reflectors evenly display a 30° spot beam pattern and eliminate the sharp contrast between illuminated and non-illuminated surfaces. 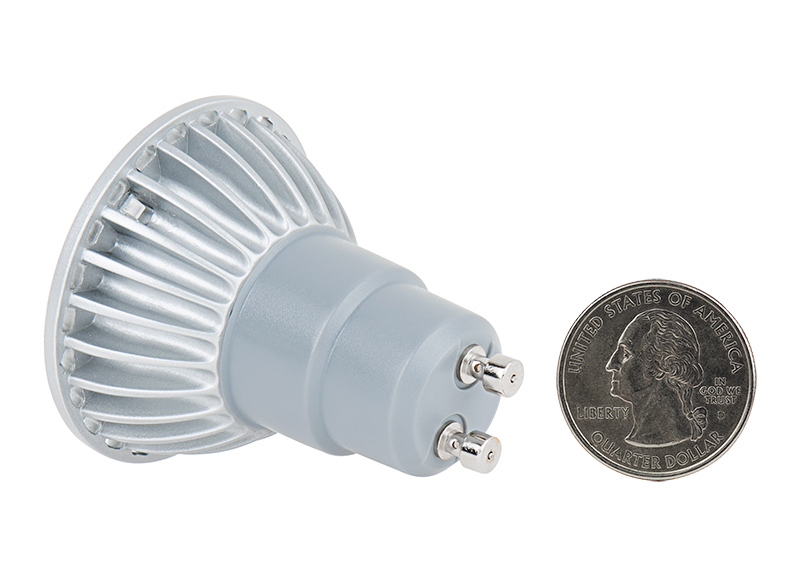 A GU10 bi-pin base allows for easy plug-and-play installation in weatherproof housings. The energy-efficient bulb uses only 5.2 watts of power; an incandescent bulb with comparable light output would consume 40 watts. This dimmable GU10 bulb has 120 VAC operation and is designed to last 25 times longer than incandescent bulbs. Price per bulb. In replacing regular bulbs that were in a decorative glass track light I realized that these do not give off any "side" light like the bulbs they replaced. This has a benefit in that it does not have glare on the TV across the room but is not as pretty, in that the glass globes now have a dead looking appearance, even when the lights are on. Secondly, the light does not appear warm to me, not even close. It is definitely not warm as compared to the bulbs we replaced. 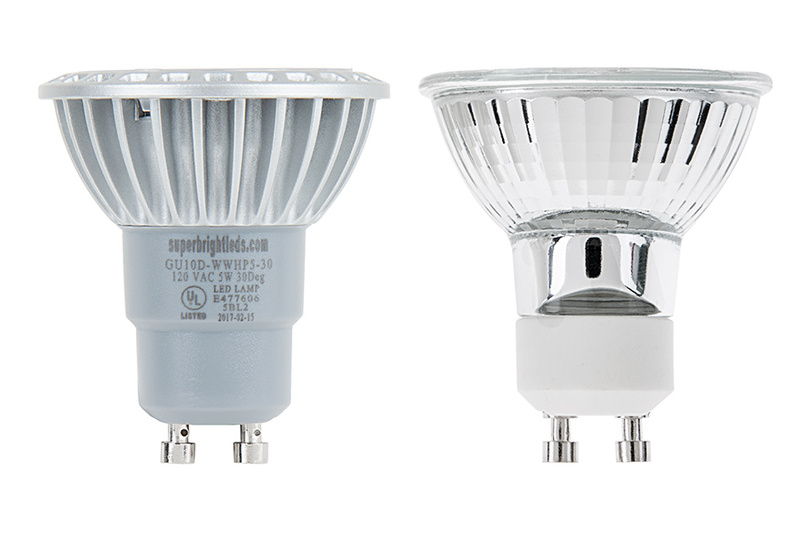 I dont know if SuperBrightLED can independently test these bulbs, but I doubt they are as specified and would be curious to see how they would be independently scored. 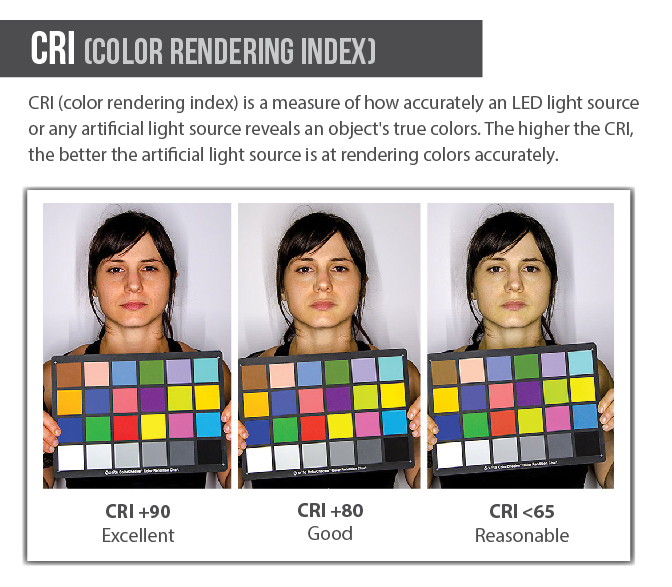 Maybe I need to focus on higher CRI bulbs, as these were in a Kitchen where we need the full range of colors. 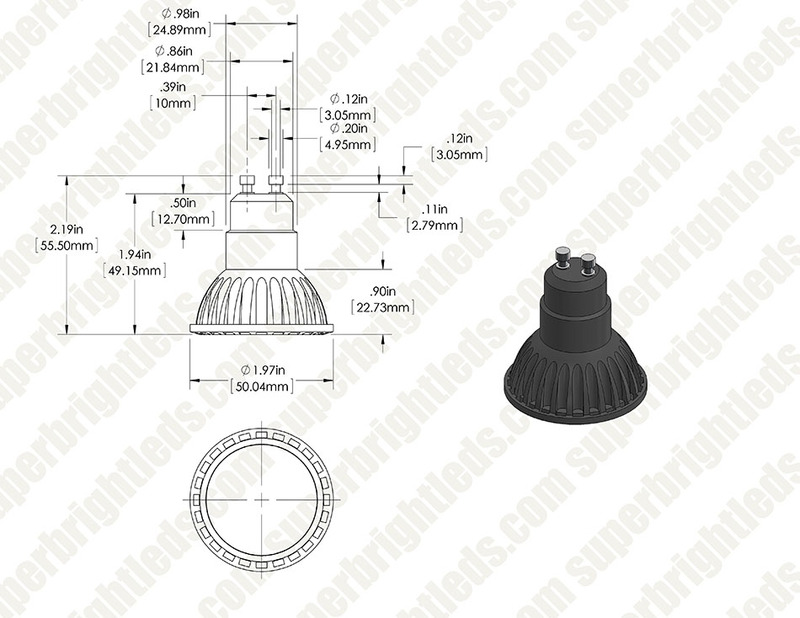 The GU10 MR16 bulbs we carry, have a 30 degree beam angle and therefore will have a narrow directional light by design. 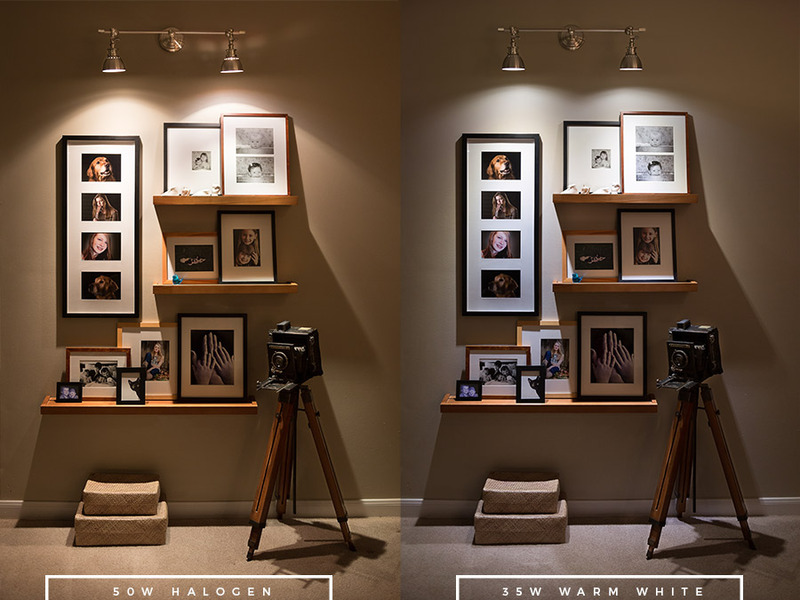 To facilitate the use of wide beam angle decorative bulbs, we suggest using a E27 Base to GU10 Base Socket Adapter to allow for a wide choice of bulbs. 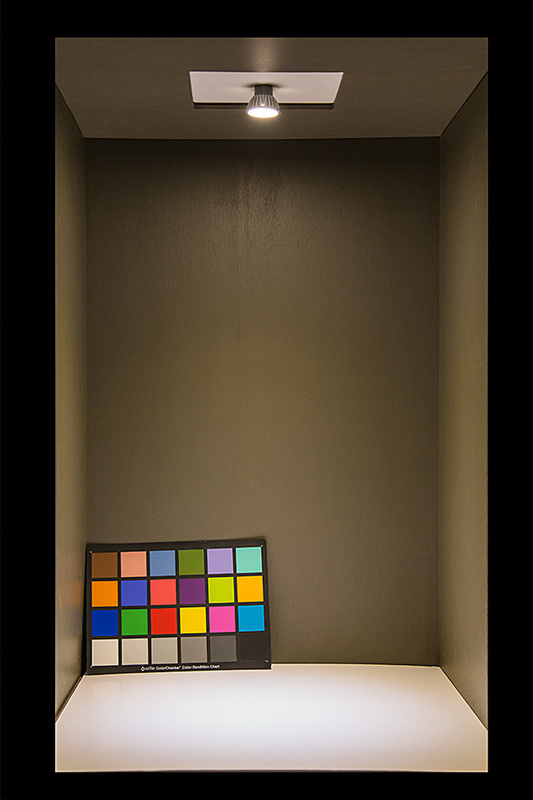 SBL's lab confirms the 2900K color temperature. I have many 2700k lights that are quite warm, while these are advertised as 2900k but very cool/blue. Not sure if they're labeled wrong or this is just a subjective thing, so YMMV. 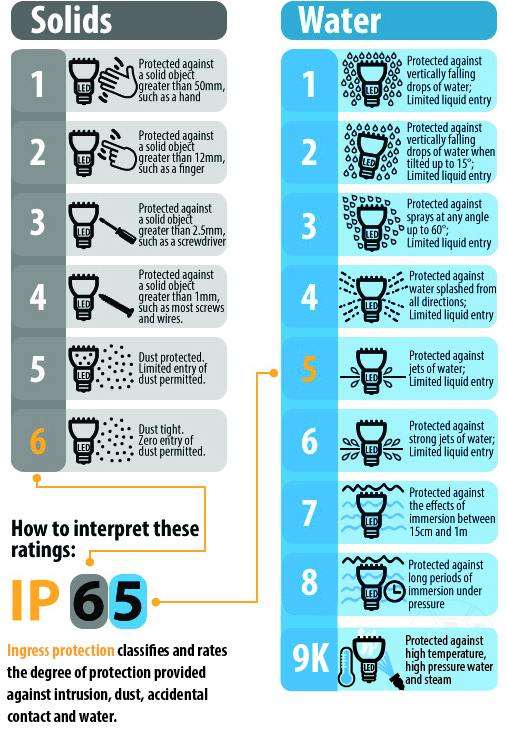 Actual test results for this bulb was 2893 Kelvin. 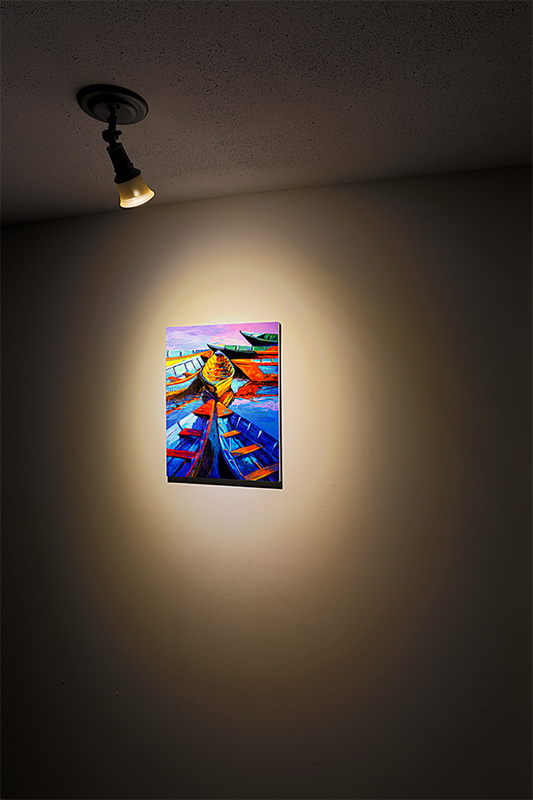 The light output of the GU10 LED Bulb far exceeds the equivalent incandescent bulb and the power savings are huge. 10 watts vs 70 watts. The only problem is the physical size of the peripheral lip of the led bulb is thicker then it's incandescent equivalent. 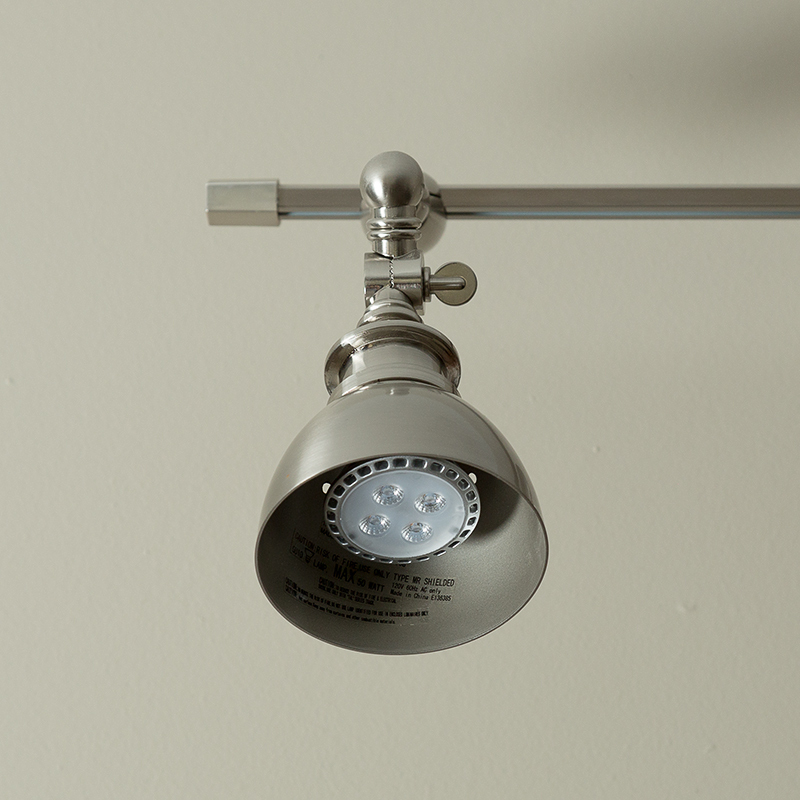 So I could not use the standard bulb mounting hardware and had to come up with my own. Still give it a 4 star rating for the power savings alone. 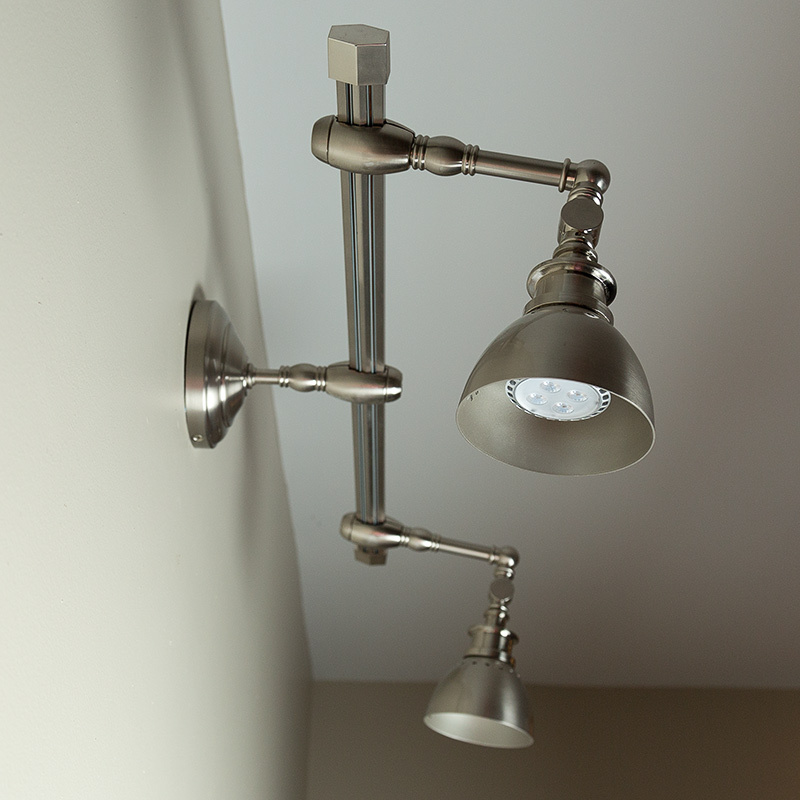 These are nice and bright, using in fixture over the sink. Plenty of light and can leave on all day, if I want!